We provide specialized tipper services to private and public enterprises and are capable of hauling any aggregates (sand, stone, building rubble etc.) and various other products that require tippers. 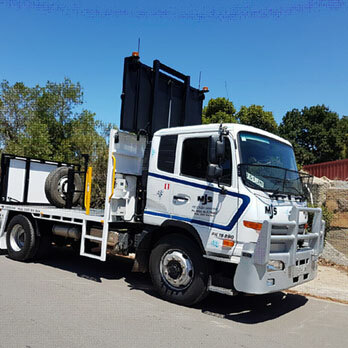 Widely used in different applications, our tipper service is in high demand for reliability and high functionality. Quality, timely execution and reliability are the three pillars that have supported our growth over the years. Repeat orders from our long-standing clients stand as testimonials for our operational and service efficiency. 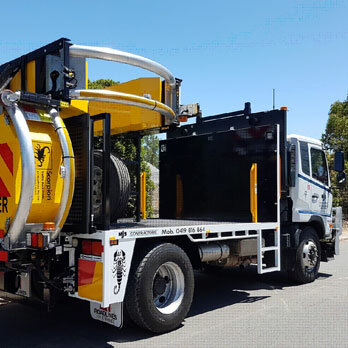 Our services are available anywhere in Adelaide Hills and Adelaide and we are proud to claim that our clients enjoy complete peace of mind as we have dedicated and reliable onsite technicians and operational staff to manage drivers and equipment. 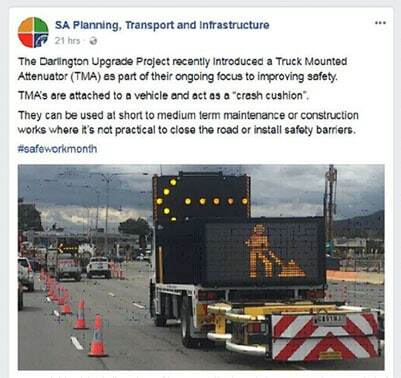 The Scorpion Model C TL-3 Truck Mounted Attenuator (TMA) is mounted to a shadow vehicle for purposes of protecting the work crew in front of the shadow vehicle and protecting the motorist that might drive into the lane closed off by the shadow vehicle. Upon impact, the Scorpion TMA crushes in progressive stages. 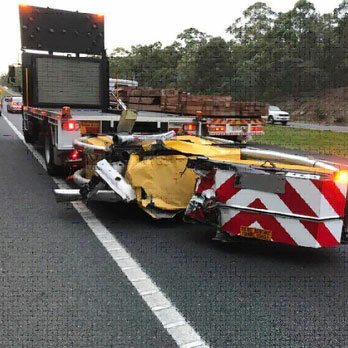 When hit by a lighter vehicle weighing approximately 820kg, the impact will crush the cartridge section of the Scorpion. 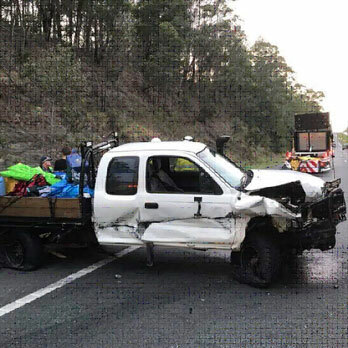 When hit by a heavier vehicle, such as a truck of 4WD weight approximately 2000kg, both the strut and cartridge sections will crush, absorbing the energy from the impact. 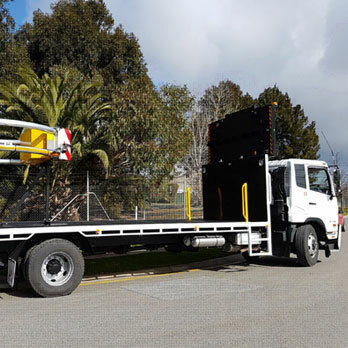 The TMA pictured below is the smaller TMA with a wheelbase length of 4.2 meters. 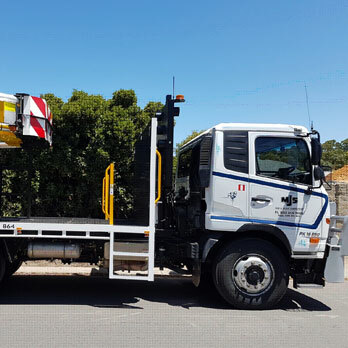 MJS Group of Companies have fully trained staff, including Attenuator training, Work Zone Traffic Management and Senior First Aid. MJS Tree & Stump are tree consultants and tree experts based in Adelaide Hills, extending extensive services to all Adelaide area. Locally owned and operated, the certified company has been delivering high quality suite of tree maintenance and arborist services and tree advise since 1990. MJS is also Panel Contractors with DPTI and are Quality Certified (level 2 certificate) for arboriculture services.